Bootstrap Shopping Cart is a professional shopping cart template designed entirely using Bootstrap. You can also easily add and remove components as it’s based on the Bootstrap framework. Bootstrap Shopping Cart is a professional shopping cart template designed entirely using Bootstrap. It’s compatible with any of the bootswatch theme making it easy for you to change the theme. You can also easily add and remove components as it’s based on the Bootstrap framework. Don’t forget! Because you’re using a theme built with Twitter Bootstrap, you get access to everything in the Bootstrap component library and ecosystem. 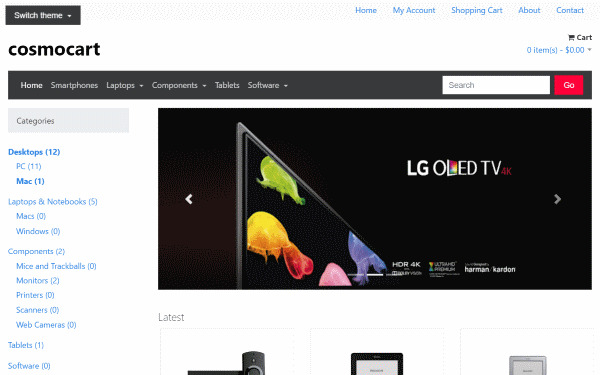 This makes Bootstrap Shopping Cart an excellent choice for your next project.